Kids night lights are a great way to soothe away nighttime fears, chasing those monsters away and preventing anything from lurking in the darkness. Many children will deal with nightmares, fears and other worries at night. With an imagination that is still developing and growing, your little one processes many things each day. Just like grown-ups find that worries seem a little bigger at night, your child’s fears sometimes come out as the darkness arrives. Over time, these fears will soon fade away, without the need for any bedtime soothing. To help your child feel comforted at bedtime, kids night lights are always a great addition to any kids bedroom. Here are some of our favourite kids night lights that are sure to create a warm, soft ambience that sends your child to bed with only the sweetest of dreams. Nigcom night lights are versatile and functional. Features include monitoring functions that measure room temperature and humidity, along with a clock and an alarm setting. 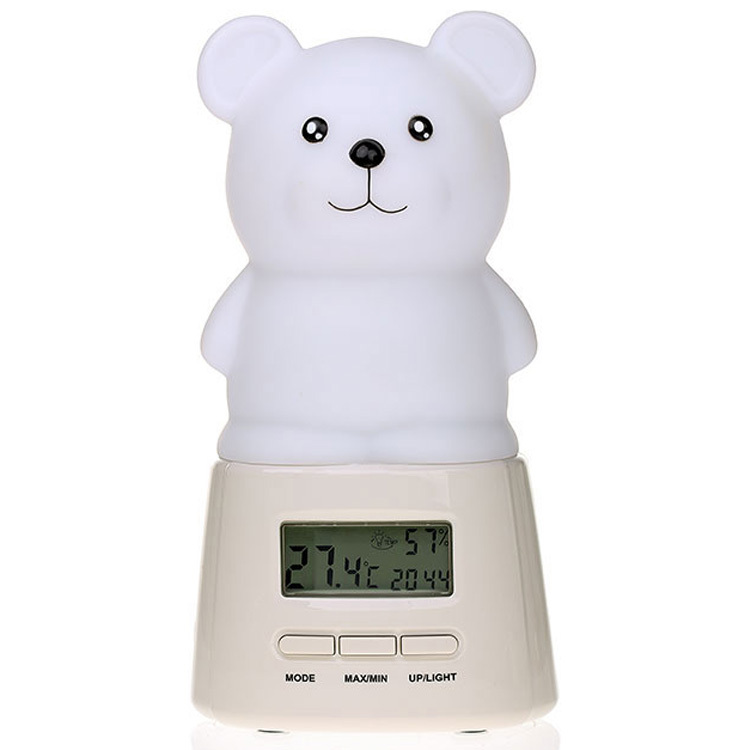 This soft-touch night light can be turned on and off easily with a quick touch to the head of the owl or bear. You can choose from 3 modes: static single colour, automatic changing between the light’s 7 colours, or colour change according to the room temperature. With adorable characters such as the Owl and Bear Night Light, these gender-neutral lights will look super cute in your little one’s room. Also versatile, with plenty of useful features, the Alilo multi-function night light is a great choice for those learning to sleep alone for the first time. This light doubles as a night light, toy, and educational assistant. Song, stories and poems can be played back, while its lack of sharp edges, soft silicon ears and drop-proof body makes this light suitable for direct handling. The Buddy Bunny is available in assorted colours, with three sweet characters – Buddy Bunny, Big Bunny, and Honey Bunny. Perfect for those seeking a simple, classic night light, the Pylones range features an elegant French design, soft finish in versatile white, and a soft glow. This light can be turned on and off easily. 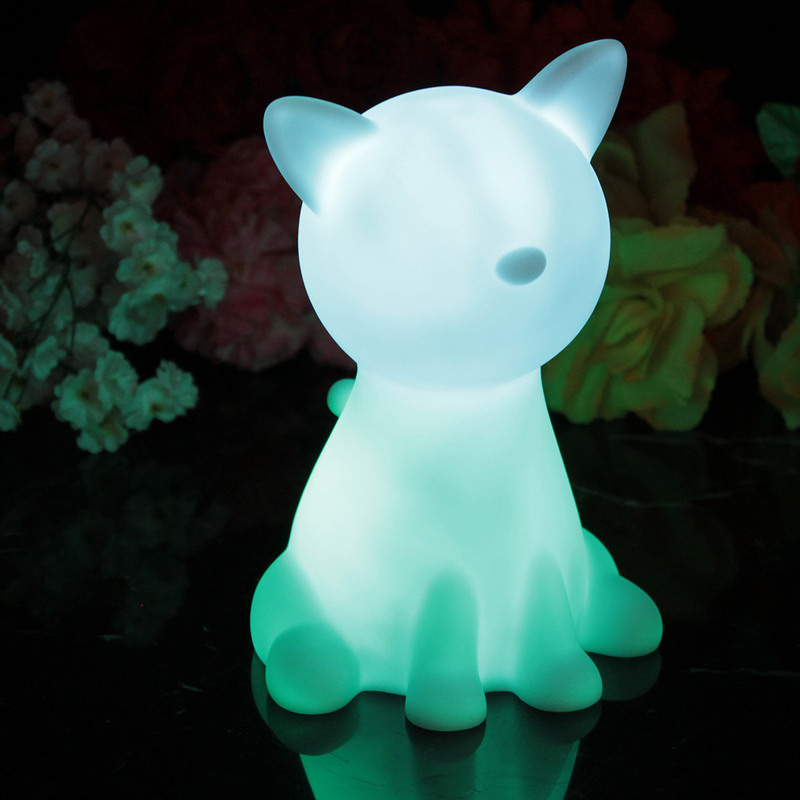 The Kitten Night Light is sure to be a favourite for those who love kitties, while the Puppy Night Light is a must for budding dog people. The modern, minimal design will work well in a variety of bedroom styles for boys and girls. This light is also a great choice for nurseries, giving just enough light for you to feed or comfort your baby when they wake. Here at Clever Little Monkey, we have a selection of additional kids lighting in store also on offer. Browse our range of kids night lights to see what else we have in stock!